At Analyze IQ Limited, we are always interested in developing new partnerships with innovative and forward-looking spectroscopy instrumentation manufacturers, vendors, and providers of solutions in all application domains. Please contact us if you would like to discuss partnerships for growth and mutual benefit. We will respond by email or phone the same day. We already have some partnerships with instrumentation manufacturers to resell the Analyze IQ Software Suite, including Analyze IQ Lab, Spectra Manager, and our Library of spectra, and we are always interested in forming new partnerships. We can also develop OEM versions of the Analyze IQ Software Suite. Instrument Interface Modules may be developed by the instrumentation manufacturer or by Analyze IQ Limited. Analyze IQ RealTime is our product to enable analytical models that have been built using Analyze IQ Lab to be packaged and deployed in third-party software products, and employed by non-chemometricians in routine analyses and automatic process monitoring. In addition to developing Instrument Interface Modules and OEM versions of the Analyze IQ Software Suite, we develop custom software solutions based on our software code base. 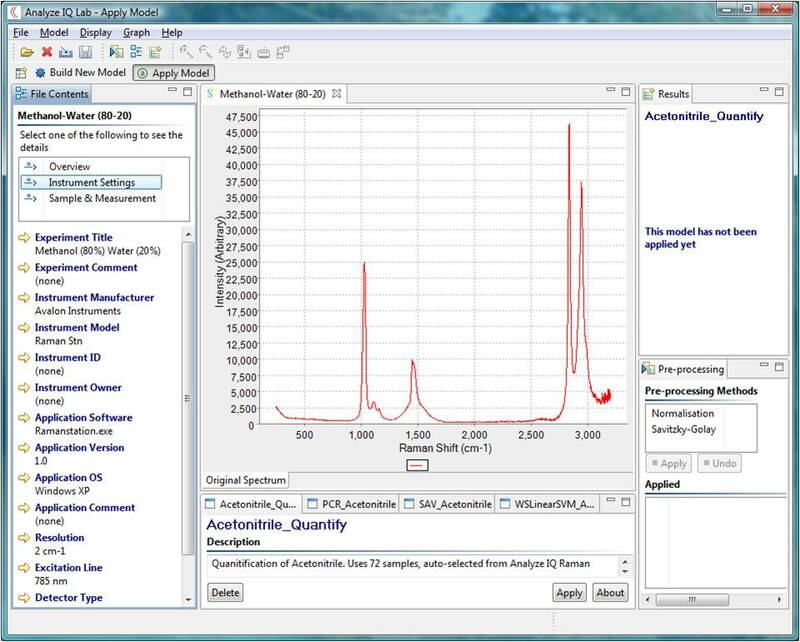 We can combine that with chemometric modeling, to develop bespoke models for your application.